After being rebuffed by Camryn Carmichael, E.J. Kincaid has one thing on his mind. He wants to get the hell out of Dodge, or in this case, Langston, Texas. He sees nothing but miles and miles of Texas panhandle, even though his daddy does seem to own most of it. He wouldn't be here at all, except that his father committed a heinous crime, for which he is serving a life sentence in a maximum security prison. E.J. feels obligated to stay and try to hang onto the land and cattle empire his father built for him. He has also infuriated the local veterinarian, Jenna Lewis, who thinks he’s a complete jackass. In spite of their thorny relationship, a prank of E.J.’s turns the tables on the lovely red-head who proves to be both a worthy adversary as well as a fiercely loyal ally. As his world starts to fall apart, it’s always Jenna who stands by his side. When murder, cattle rustling and kidnapping occur right in his big back yard, E.J. turns to one of the local ranchers who hates everything about him, especially his name. Will E.J. be able to rescue the woman he loves, or will his efforts result in forfeiting both their lives? With the death of her only relative, Camryn Carmichael is totally alone. She travels to the small town of Langston in the Texas Panhandle for her Great-Aunt Silky’s funeral. The young doctor wants to tie up loose ends before returning to Houston. As she’s freezing her toes off at Silky’s graveside, Breckenridge T. Ryan, neighboring rancher and attorney, gets his first look at the young woman who was the apple of Silky’s eye. He vows to live up to the promise he made to Silky to stand by Cami, who is the unknowing heir to the vast cattle ranch. Having just completed her residency, Cami is used to working hard and being poor. She plans to begin her fellowship in Immunology at one of the major teaching hospitals in Houston’s Medical Center. 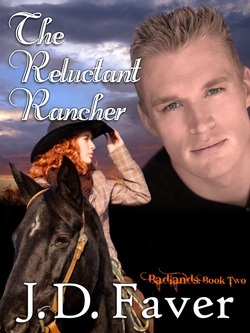 When Breck informs her that she has inherited the sprawling ranch, she has mixed feelings. The will stipulates that she live on the property for a year before she can sell. If she refuses, the entire estate goes to Breck. She decides to give it two weeks, since that’s when her fellowship begins and she’s curious about the manner in which her aunt died. Silky Carmichael was a legendary horsewoman, and Cami finds it hard to believe that she could have been thrown by Red, her beloved paint stallion. 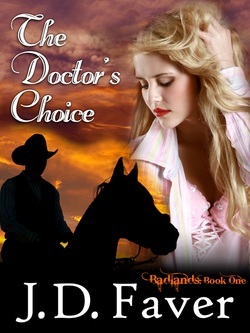 During the ensuing days, she is drawn into the inner workings of the ranch and the lives of the hands and townspeople. She meets the owner of the nearby mega-ranch, Eldon Kincaid and his son, E.J., and Doc Parker, her Aunt’s long-time sweetheart as well as several women who seem to have a proprietary interest in Breckenridge T. Ryan. The handsome yet enigmatic Breck is always in her face, both intriguing and infuriating her. A fiercely independent woman, Cami has difficulty accepting the many small acts of kindness Breck performs that are, given his background and upbringing, expected of a gentleman. And this gentleman, having revised his initial opinion, is inexplicably drawn to the thorny and often aloof young doctor. He is determined to make her fall in love with the ranch, the town and him and forget about returning to Houston. Her suspicions are confirmed when the Coroner’s Report comes back suggesting that Silky’s death was not caused by a fall, but rather, by blunt force trauma. She is determined to find out who is responsible for her aunt’s death. Will she uncover her aunt’s killer, or will she fall into the killer’s trap when she gets too close?